Algeria should be directly involved in the settlement of the Sahara conflict instead of playing the sole role of observer. As explained by many commentators who share this standpoint, on the one hand, Algeria has common borders with its Moroccan neighbor that extend almost to the edge of the Western Sahara. 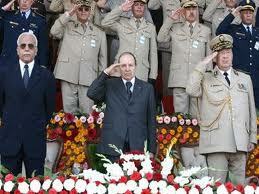 On the other hand, Algeria hosts on its soil the Sahrawi refugee camps and is a major supporter of the Polisario Front. It is for these reasons that many experts, observers and civil society activists convene that without the participation of Algeria in the negotiations as an involved country in the issue, there will be no solution to this conflict. This same standpoint is shared by president of the Alter-Forum association, Bashir Dkhil, who believes that the settlement of the Sahara issue should go through negotiations between Morocco and Algeria. Despite the efforts made ? ?by Morocco and moves made by several members of the new Moroccan cabinet to bring closer the views with Algeria there is yet no breakthrough in Algerian-Moroccan relations, he deplored. Without a normalization of relations between the two countries, the discourse on a satisfactory solution for everybody is a daydream. The prospects for negotiations to resolve the conflict are at a deadlock and the status quo that serves the interests of Algeria at the expense of Morocco is voluntarily maintained, Dkhil said. About the Polisario’s suspicious relations with the terrorist movements active in the Sahel and Sahara region, Dkhil said the Polisario resorts to anyone and to any means to maintain its control over the Tindouf camps. For the Polisario, the status quo is more like a very lucrative business, the president of the Alter-Forum association said.